Least likely HC candidate ever. Dude’s like Chavis...and maybe Clemson’s Venables at this point. Don’t know how much “experience” Tee gets in this role, but he can learn from a proven OC. The Co-OC and Associate HC are honorary titles. They do advance his resume for future jobs. I could see him as UT’s future HC before him being the future OC. I think this might set him up for an HC role with a mid-major type program at some point; a SunBelt or ConfUSA type of job. But I agree with the general premise that Tee might make a better head coach than OC. Its entertaing how certain people around here act like everyone has to think "he" (coach or player) has to be the greatest thing since sliced bread just like they do, and in many cases if you don't, you hate that coach or player. I know its nothing new, but its really noticeable when its slow and there is a coach and a player getting the same type of attention. Exactly. He's a great addition to the staff. Not because he's a great OC mind or that Chaney needed oversight in a league that he knows well and has been successful in. As stated before, Im thrilled he's on the staff, he brings a lot to the table from a recruiting and player development standpoint. Im also thrilled he's not the OC. If he absorbs being under a seasoned OC he'll get some opportunities down the road. No reason to build in the idea that he's hated for those facts. So Tee is gonna be called Co-OC and Assistant Head Coach and WR's coach??? If we Win 9 games this year, I will call him "Messiah"
Tee is here to help Chaney with the o period. He is Co-OC not just a position coach. He will be involved in the gameplanni ng and playcalling. He has a couple of years when his offense matched Chaney' s best. He has much to add. Chaney and Pruitt gave him titles and responsibilityfor a reason. The Tee haters are really being exposed in this thread. Pretty sad that some keep trying to downplay him for some reason. There's nothing pointing to that being true. Chaney has been an OC for the better part of 2 decades and has had a solid track record for years. If he wanted to be a HC that probably would have already happened by now. 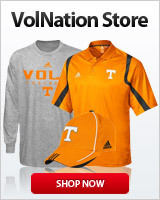 Unless Pruitt fails and is fired it wouldnt surprise me if Chaney retires a Vol. The Co in this case was a shiny title to lure a very good position coach and recruiter. who said it was true? If Chaney wanted to be a HC he would have already made that move. Compared to Fulmer? Chaney has been an OC in some capacity for 24 seasons. Fulmer? 4 before he became a HC. They clearly had different career ambitions. Resume shakin that noggin. After 24 seasons? They’re where they want to be in this world. Hes 57 and making 1.6. You may need to notify him hes not getting younger. Fulmer was a HC in his early 40s. So no, he cant do it like Fulmer did. Ok, not reading 5 pages worth, so sorry if already said by someone else. The co and assist positions listed on his responsibilities are typically done to protect the universities. If he is just listed as the wr coach, then per usual contact terms, he can leave at his whim to another job of higher position without a buyout on his part which any other University can accomplish by simply giving him a co-oc title. If he is listed as the co-oc, typically, he'd have to receive a head coach or straight OC position to bypass that, with him also being given the assist hc title, also covering that base as well. Helps prevent poaching coaches without getting reimbursed. In some cases, the titles are given to increase a coaches status furthering his future career. The titles also allow the University to increase pay to circumvent some States and/or University policies pay scales/restrictions. In Tee's case, we are simply augmenting some of USCw pay they are sending him for firing so the titles are most likely for protection and status. I think he meant Tee. Maybe? If true he didn't understand the point to the post he quoted. No. We were talking about Chaney and a post speculating that he might leave for a HC position. He wants to wander in with a different conversation, that’s on him. Given the other conversation going on I don't think that was the case tho. I just thought he had to be talking about Tee, seems silly to think he means Chaney, but whatever, I'll just stfu now. I thought the same but that's who I was talking about. So you were talking about Chaney? Dude. Pretty sure I read where he wanted to retire pretty soon. He done after this IMO. Career OC is obviously what he wanted. A very well paid one at that.